Ketchikan: USS Zumwalt, the Stealth Destroyer, Visits Ketchikan By MARY KAUFFMAN - The lead ship of the U.S. Navy’s newest class of guided-missile destroyers, USS Zumwalt (DDG 1000), arrived in Ketchikan on Saturday. The visit marked an opportunity for the crew to experience the hospitality of the Alaskan port, as well as showcase the U.S. Navy’s newest class of destroyers. “I speak for Zumwalt’s entire crew when I say that we are grateful to the citizens of Ketchikan for the warm welcome; we are excited to get out in town, and we are honored to connect this community with its Navy,” Carlson said. During the scheduled port visit, Carlson met with Robert Sivertson, mayor of the city of Ketchikan, David Landis, mayor of Ketchikan Gateway Borough, and Saxman mayor Frank Seludo. Zumwalt made the stop in Ketchikan after completing a visit to the Naval Surface Warfare Center, Caderock Division’s Southeast Alaska Acoustic Measurement Facility (SEAFAC). SEAFAC is part of the Naval Surface Warfare Center community providing engineering expertise and technical assessment for the Navy’s operational units. The Zumwalt-class destroyer is designed and built to execute multiple maritime missions including deterrence and power projection. The ships’ stealth and ability to operate in both the open ocean and near-shore environments creates a new level of battlespace complexity for potential adversaries. 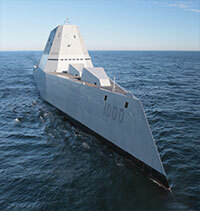 Zumwalt is under operational control of the U.S. 3rd Fleet. Third Fleet leads naval forces in the Pacific and provides the realistic, relevant training necessary for an effective global Navy. Third Fleet coordinates with U.S. 7th Fleet to plan and execute missions based on their complementary strengths to promote ongoing peace, security, and stability throughout the entire Pacific theater of operations. Zumwalt is named after Elmo Russell Zumwalt, Jr., who was an American naval officer and the youngest man to serve as the Chief of Naval Operations. As an admiral and later the 19th Chief of Naval Operations, Zumwalt played a major role in U.S. military history, especially during the Vietnam War. A highly decorated war veteran, Zumwalt reformed the US Navy's personnel policies in an effort to improve enlisted life and ease racial tensions. At 610 feet long, it is 100 feet longer and 13 feet wider than the Arleigh Burke-class destroyer and provides the space needed to execute a variety of surface, undersea and aviation missions. She's the Navy's first surface ship with all-electric propulsion, powered by two main-turbine generators, two auxiliary-turbine generators, and two Rolls-Royce 34.6 MW advanced induction motors, which provide all the energy needed to run the propulsion, electronics, and weapons systems. This system can bring the Zumwalt to a top speed of nearly 35 mph. Fish Factor: Commercial fishermen fund the hatchery programs By LAINE WELCH - Commercial fishermen pick up the tab for just about anyone who catches a salmon in Alaska that started its life in a hatchery. That was a finding that wended its way to the surface during a hearing last week of the House Fisheries Committee on the state’s hatchery program. The program began in the mid-1970s to enhance Alaska’s wild salmon runs. Unlike meetings that are top heavy with fishery stakeholders, most of the committee members are not deeply familiar with many industry inner workings and their interest was evident. 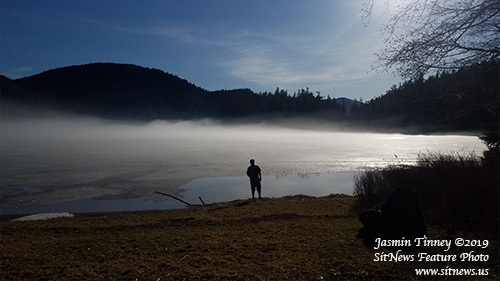 “Who funds the hatchery programs?” asked Rep. Jonathan Kreiss-Tomkins (D-Sitka), referring to the 25 private, non-profit associations that operate in Prince William Sound, Southeast Alaska, Kodiak and Cook Inlet. Turns out, it’s commercial fishermen. “In each region where there is an aquaculture association, commercial salmon permit holders have levied a salmon enhancement tax upon themselves from one to three percent,” said Tina Fairbanks, executive director of Kodiak Regional Aquaculture Association. Fishermen also catch and sell returning adult salmon to the hatchery which operators use to pay operating expenses, a process called cost recovery. In 2017 cost recovery fish, which fetch a lower price for fishermen than selling to processors, accounted for 79 percent of hatchery income. 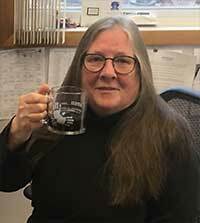 Ketchikan: Turnbull Announces Retirement - KRBD General Manager Deborah Turnbull has announced her retirement, effective March 31st. Turnbull made the announcement to the KRBD Board of Directors during its regular meeting in February. Turnbull said she has been giving retirement serious consideration for quite some time, and now seemed like the right time to make the decision. Alaska: University President says Alaska needs UA more than ever; Invokes the Spirit and Vision of Constitution’s Framers - University of Alaska President Jim Johnsen delivered his annual State of the University address yesterday telling a statewide audience that the university is strong, successful and is the cornerstone of Alaska’s future. “There is no other cornerstone in this state more robust than the University of Alaska in creating success for our state – from its earliest days as a territory, through the fight for statehood, through our hard economic times and now as we fight for our very future,” he said. Analysis: The public may never see a report from Mueller's investigation By STANLEY M. BRAND - Almost from the day of Robert Mueller’s appointment as special counsel, the media and the public have expected that his investigation will end with a report to either the Congress or the public or both. For eight years, I was the general counsel for the U.S. House of Representatives, the chief legal officer responsible for representing the House, its members, officers and employees in connection with legal procedures and challenges to the conduct of their official activities. 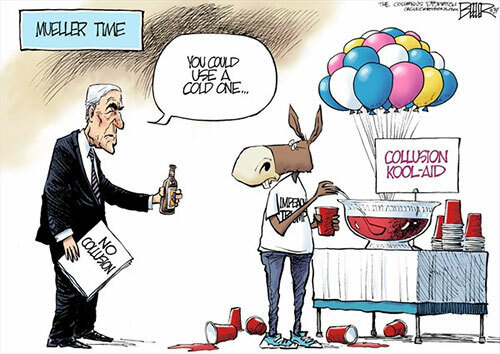 The previous law creating special counsels – which has now lapsed – directed the special counsel to report to the House of Representatives “substantial and credible information” of impeachable conduct. It says only that “[a]t the conclusion of the Special Counsel’s work, he or she shall provide the Attorney General with a confidential report” explaining the decision to either prosecute or not. They are the most critical elements needed for success in any endeavor. Through six years in the U.S. military and two deployments to the Middle East, I had no choice but to accept that planning and readiness are, in fact, the greatest defenses one has when staring any adversity, or even death, in the face. When it counts, it is planning and logical thinking – not emotional reaction – that keeps you alive and afloat. Today, as I sit in Juneau as a member of the citizen Legislature, I am increasingly concerned that far too many Capitol players and influencers have adopted the practice of emotional sensationalism to avoid hard conversations about fiscal planning and readiness. Over the past month, I’ve watched as special interests launched protests and organized biased public testimony. I’ve overheard community organizers imploring their followers to act like children who are threatened with the loss of a toy rather than rational adults focused on solving fiscal problems. "Ortiz Traveling Pre-determine Outcome Tour" By A.M. Johnson - Let me be bold, I am willing to bet those who begged during the recent "Ortiz Traveling Pre-determine Outcome Tour" to be taxed (I suspect most of them being educators, union members or receive state benefits) are not now voluntarily donating money to the state in lieu of an income tax.